Come and join us for the 2019 The Carolinas MG Walk as we continue taking “steps” toward the ultimate finish line…a world without myasthenia gravis! Register now to join an existing team, or to start and Captain your own! We are thrilled to announce that the 2019 Carolinas MG Walk Hero is… Joleen Moe! 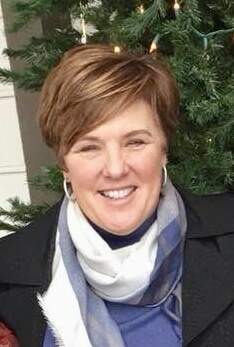 Joleen Moe is a retired Registered Nurse and Health Care Administrator . She has spent most of her career in Tennessee, Kentucky and Texas partnering with surgeons and leading ambulatory surgery centers. She now lives in Mooresville, NC. Joleen was diagnosed with sero negative Myasthenias Gravis in 2011 at the age of 50 with the usual symptoms, droop eye, slurred speech, and generalized weakness. Although she loved her job, she took an early retirement in 2013. After maxing out on Mestinon, her neurologist gave her an 18-20% chance of achieving remission with steroids. She felt up to the challenge and took it. This year she celebrates her 5th year in remission, symptom free, without any medications for MG. Joleen attributes her success, not only to great medical care, but also devoting her life to healthy living. She feels blessed to have beaten these odds and is committed to being a positive influence in the lives of others as well. Joleen gives back by co leading the MG Support group here in Charlotte. She practices living a balanced life that includes healthy eating, exercise, being surrounded by good friends and family and believing in God. She believes in doing what you love, such as painting, and spending time outdoors. Joleen has also lived in France and Belgium. It was important to not only give her children experiences abroad but also teach her them tolerance and understanding of other cultures at an early age. Now, her children are grown and demonstrate this tolerance and understanding by both ending up in healthcare fields. Joleen has been married to her husband, Jeff for 34 years. She has two wonderful daughters, Brittany and Meghann and a very talented and fun loving son in law, Justin.